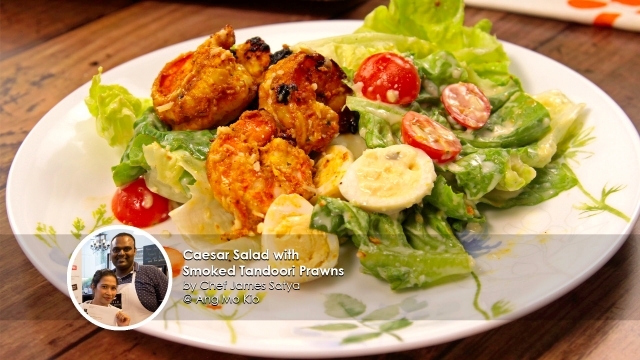 This week, we bring to you an award winning Caesar Salad contributed by Share Food home cook Chef James Satya. 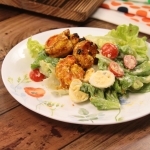 Winning the place of 1st runner up in the recent World Kitchen "Cook with Love" cooking contest, we are proud to share his amazingly, deliciously, gratifying Caesar salad with Smoked Tandoori Prawns. Better still - you can even order this magnificent dish from the man himself by downloading the Share Food mobile app and purchase a serving for yourself! 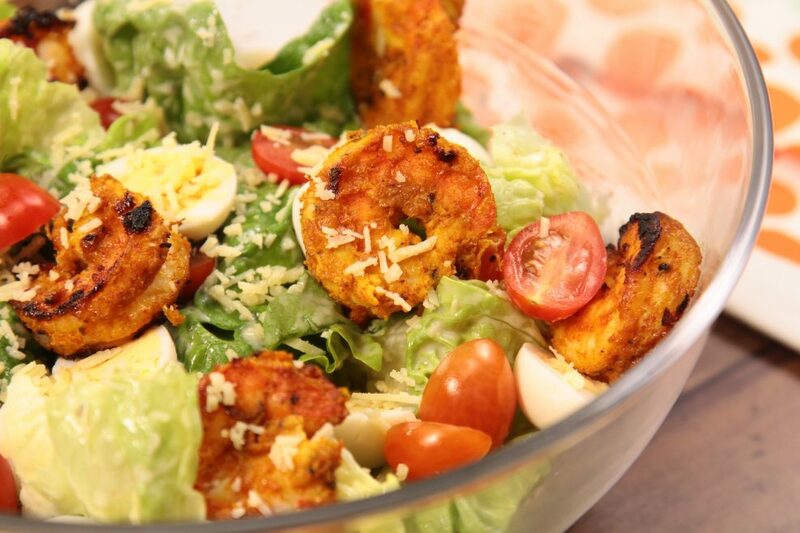 Smoking it up for the prawns gives a brilliant touch to the whole salad. 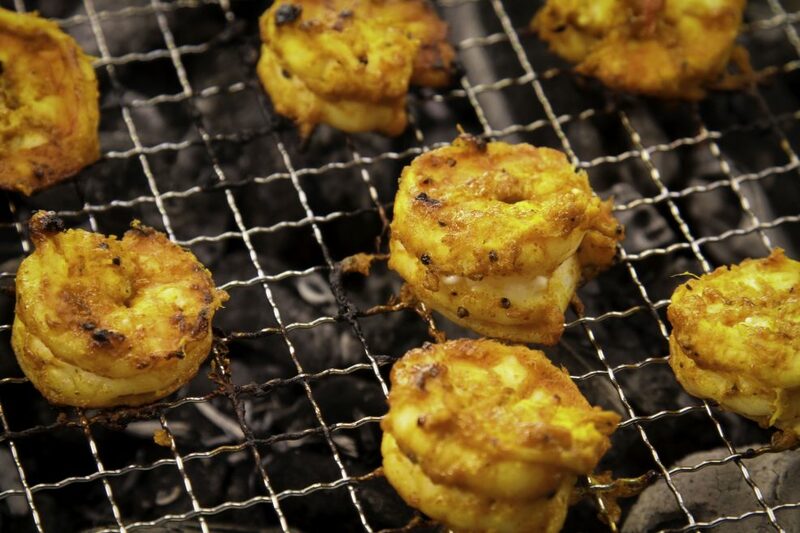 A new experience for us at Share Food Singapore but a delicious one nonetheless! "Use Hickory wood chips for the beautiful smokey taste"
Best is an understatement. 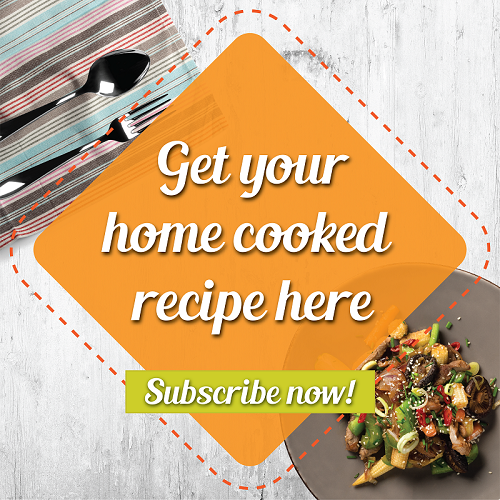 We tried it in our Share Food kitchen and it was mind blowing! We couldn't help but finish the entire bowl of salad within minutes. 1st Runner up for the cooking contest? Pretty darn good!